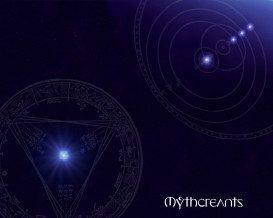 Every week, the Mythcreants team works without pay to produce and edit content that is delivered for free online. We keep a rigorous production schedule. When someone takes a vacation, that work has to be made up. Running a site this popular isn’t cheap either. We depend on numerous online services for web hosting, spam filtering, email delivery, and more, and these services get more expensive as our usage and traffic climbs. Our supporters enable us to continue our work without going broke. With your support, we can pay for things that would otherwise take time away from producing content. Stronger support means better tools for the team and more incentives for team members to stick around. With your help, Mythcreants will still be running five years from now. Will You Be Our Patron? The best way to ensure our long term success is to become a patron. For this, we partner with a service called Patreon. Patreon is a crowdfunding platform designed just for content creators like us. Our Patreon program gives us the steady income stream that we need to keep Mythcreants running on an ongoing basis. Plus, becoming a patron comes with fun rewards. At the starting level, you’ll get this fabulous desktop wallpaper. It comes in a variety of dimensions to fit your monitor. The design has mystic scribbles, our logo, and glowy things. Who doesn’t like glowy things? 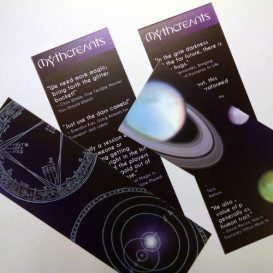 We have these pairs of bookmarks, with a pretty picture on one side and some of our favorite quotes from the blog on the other. That way if you’re reading something terrible, you can refresh yourself by reading something slightly less terrible. Oh, and you’ll also get the wallpaper. At this level, you join our pin club! Every six months, you’ll get a new limited edition pin. Each limited edition pin will reference a piece of work on the site. You’ll get the bookmarks and wallpaper too. 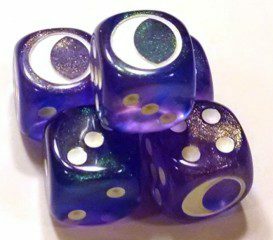 We have these custom dice from Chessex, and they are gorgeous. You’ll get five of these dice, plus a nice little bag to keep them in. On top of that, you’ll get the pins, the bookmarks, and the wallpaper. At this point we could only imagine profusely thanking our patron over and over again, so that’s exactly what we’ll do. You’ll get listed as a sponsor of our site, and then on every page, a sponsor will be chosen from the list at random and displayed. 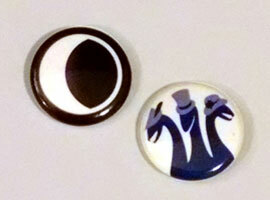 Naturally, you’ll also get the dice, pins, bookmarks, and wallpaper. At the $100/month level, even profusely thanking you on the website wouldn’t do justice to our gratitude and general awe. So we’ll thank you on every podcast too, telling everyone who will listen to us that you are making our work possible. And we’ll feebly and humbly gift you with a place on the sponsor list, a set of dice, limited edition pins, two bookmarks, and a desktop wallpaper. We know an ongoing commitment like Patreon isn’t for everyone. We’re more than happy to receive one-time gifts from generous supporters.